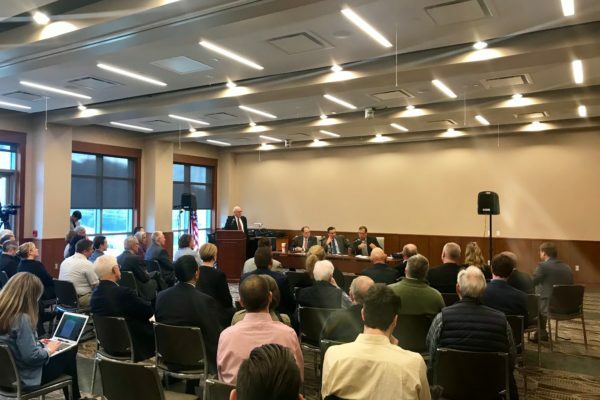 Legislative Update | Williamson, Inc.
Our Legislative Update is designed to update our members and the general public on local issues being discussed in the Tennessee Legislature and in Williamson County. Have the opportunity to hear from our elected officials as they explain and discuss potential and current policies and local and state matters that effect our community. Williamson, Inc. Legislative Update is a free monthly update featuring elected officials centered on the issues being discussed in the Tennessee Legislature. Featuring State Senator Jack Johnson, State Representatives Glen Casada, Sam Whitson and Brandon Ogles, representatives are given a platform to discuss the issues in greater depth than the media typically allows. The format is a panel discussion. This one-hour program is aired on Comcast Channel 3, the County’s public information channel. The forum is open to the public. Williamson, Inc. has been hosting this popular community service program for several years, with much positive feedback on the informative design and the opportunity to interact with our elected officials. The Representatives have expressed their appreciation for the opportunity to discuss the issues more in-depth and have “face time” with you, their constituents. Williamson, Inc. Legislative Update takes place on the last Friday of every month from 7:30 – 8:30 a.m. at Columbia State Community College – Williamson Campus. To view upcoming events, make sure you view our events calendar here. Our Legislative Updates are aired on Comcast Channel 3, the county’s public information channel, and rebroadcast on Williamson County Television’s YouTube Channel.